Print Management for a claims management company needing a responsive print solution. Consumer Refund Service needed a hassle free mailing solution to help them successfully meet their sales targets. 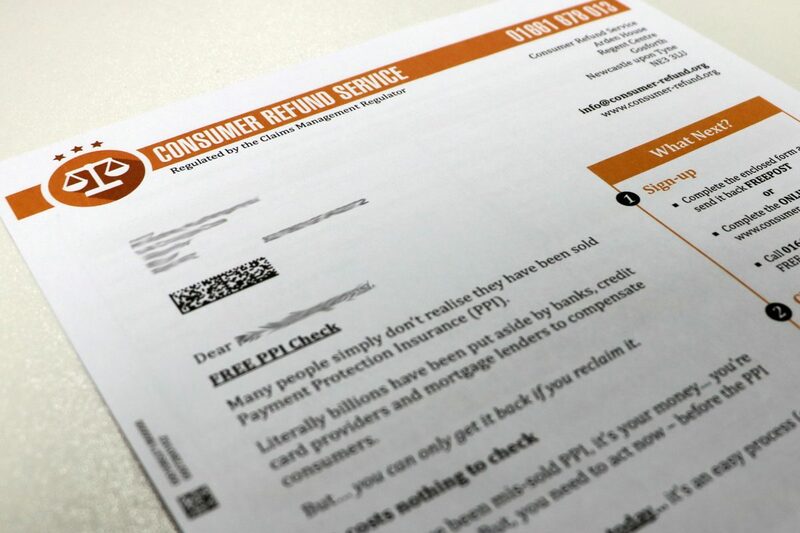 MetroMail offered a one-stop-shop for all of Consumer Refund’s mailing activities. This allowed the client to save costs through being able to streamline the entire process in one mailing house. With the consolidation of all the mail, MetroMail was able to recommend Royal Mail incentive schemes to save Consumer Refund even more money. By taking advantage of the ‘Scheme for Growth’ incentive, Consumer Refund received over £493,010 in postage credits over the last two years. MetroMail understood that Consumer Refund needed a service that provided them with 100% integrity due to the nature of the industry they work within – so we were able to offer them our ‘lights-out’ ITrans service. This system allows data to be received, processed and made into a print ready format without involvement from the Data Management department, this minimises costs for the customer whilst providing them with traceability. All Consumer Refund needed to do was to upload their data to the customer portal and we were able handle the rest. By utilising our Bowe Systec Fusion machine we are able to process a variety of envelope fulfilment needs with complete 100% integrity. The camera matching functionality means any spoiled jobs are automatically recreated, giving our clients extra piece of mind.